VW first entered the SUV foray in North America in 2004 with the introduction of their Touareg model, and some years later in 2007, introduced their smaller, and somewhat easier to spell Tiguan. 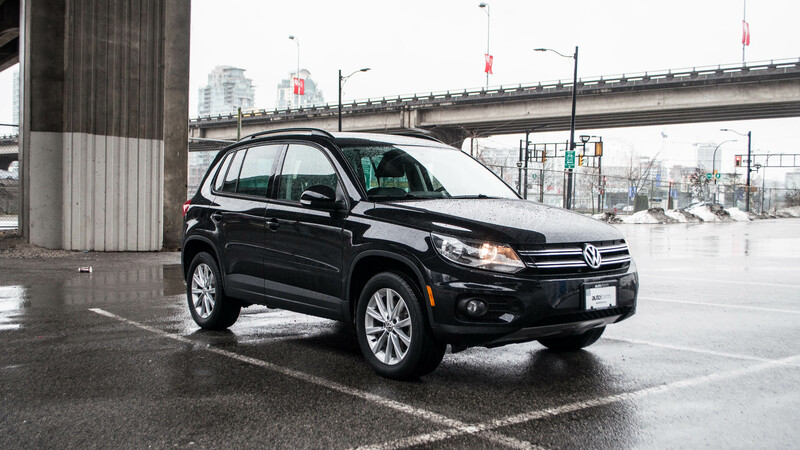 Based on the Golf platform, the Tiguan turned out to be quite a hit with its restrained styling and practical size. Facelifted in 2011, the Tiguan further evolved into a practical, yet stylish alternative to the small Japanese SUV’s that dominated the market at the time. In typical German fashion, the vehicle is purposeful. Every switch is exactly where you would expect it to be - engineering thought abounds. Seats are easily folded, cupholders designed to fit where you would naturally reach for them with the least amount of hassle. This particular Tiguan features the VW’s 4-motion all wheel drive system, an option over the standard front wheel drive variant which abounds in the used marketplace. Further enhanced by premium features such as leather interior, heated seats, giant glass moonroof, cruise control, and power seats, this VW offers incredible value, especially given its low usage. With only 32,700 kms on the clock, this one owner Tiguan offers the best of all worlds: low mileage and great provenance. Make no mistake, this is no “toy SUV” but rather a serious vehicle that’s capable both on and off road, and just happens to be wrapped in a nicely sized frame, making it convenient to drive in the City on a daily basis, but versatile enough to take take to the lake or mountains with all your gear in tow. With 200HP propelling you forward, the Tiguan is capable of towing a 2200 lb trailer, in case you need more room, or want to bring that small boat or lightweight trailer with you. Complete with 19” alloy wheels, the Tiguan looks great, is nicely balanced and a pleasure to drive and own.